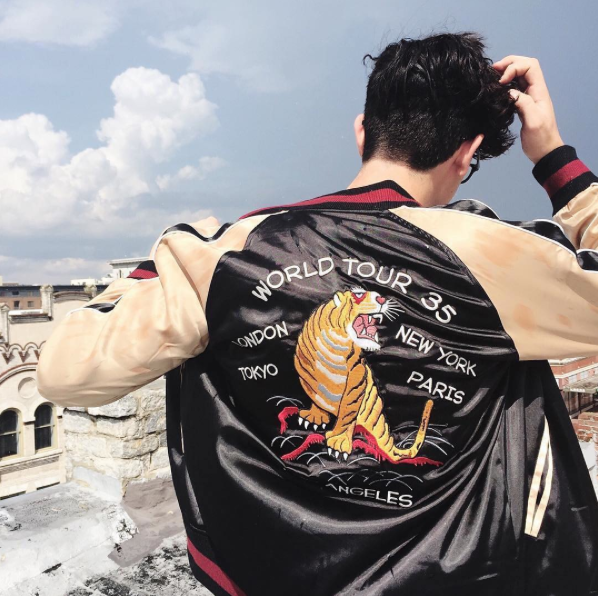 The retro bomber jacket has been revamped for Fall 2016 with luxurious fabrics and rich autumn tones. 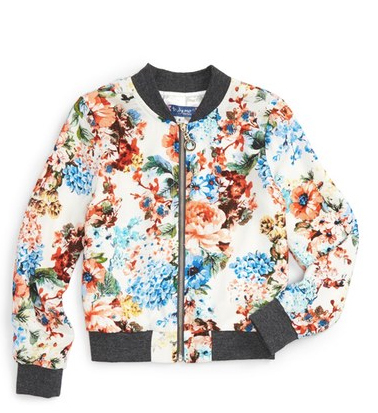 The flight plan for fall involves one floral-fixated bomber jacket, designed just for us by Lucy Paris. The sweetly sheer silhouette lends a punch of personality to the season’s slip dress for a look that blossoms from jetway to runway and beyond. 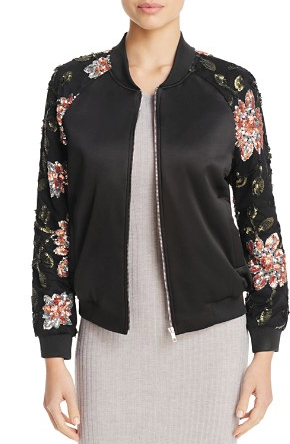 Stellar sequins form trending-now flowers on the sleeves of this exclusive-to-Bloomingdale’s bomber jacket from Endless Rose, giving the classic-cool silhouette a gloriously glamorous makeover. 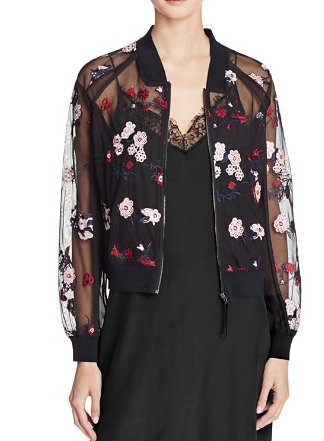 The bomber branches out with this artfully detailed jacket from AQUA x Maddie & Tae, featuring elegant embroidery along the sleeves for a cool-meets-eclectic statement. An unexpected mesh layer complete with pop-colour embroidery. From Varun Bahl. Drawing upon vintage references, and with a healthy pinch of Anglophilia, Elevenses evokes a mood of modern elegance. 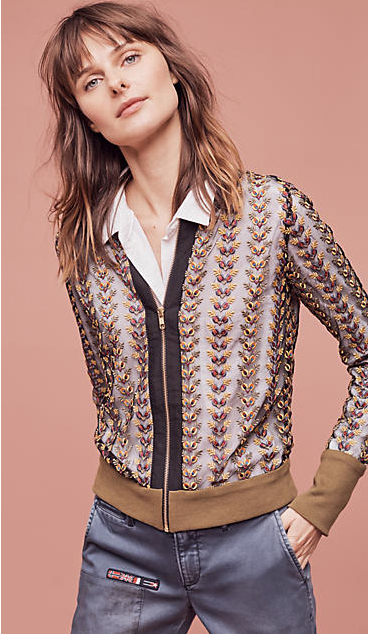 Featuring finely tailored classics that play with colour, shape and detailing, this label is exclusive to Anthropologie. 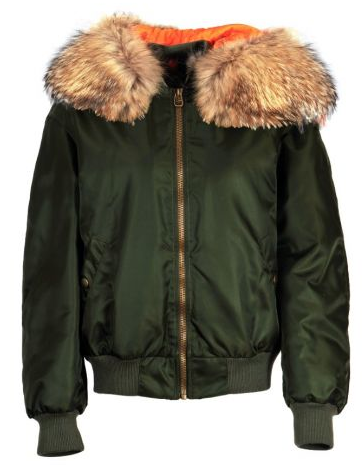 Fur-trimmed bomber jacket from mr mrs italy: green fur-trimmed bomber jacket with long padded sleeves, press-stud fastening front-slanted slip pockets, centre-front zip fastening, detachable hood and detachable raccoon-fur hood trim. 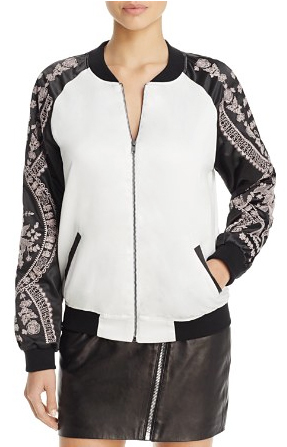 Viscose bomber details: bomber whit zip, two pocket on the front with press stud, elastic waistband. Ermenegildo Zegna is renowned for creating some of the world’s finest, most innovative fabrics. 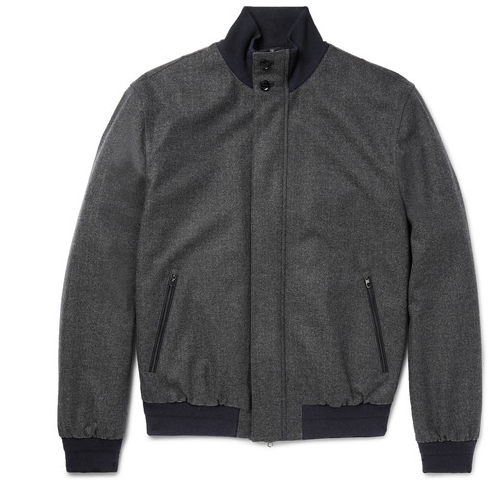 This bomber jacket has been crafted in Italy from a blend of cashmere and the label’s Trofeo wool – an incredibly soft and strong yarn that delivers lightweight warmth while being both wrinkle and water-resistant. In a smart herringbone weave, it’s lightly padded, fully lined and finished with navy double-layered ribbed trims for extra insulation on cooler days. 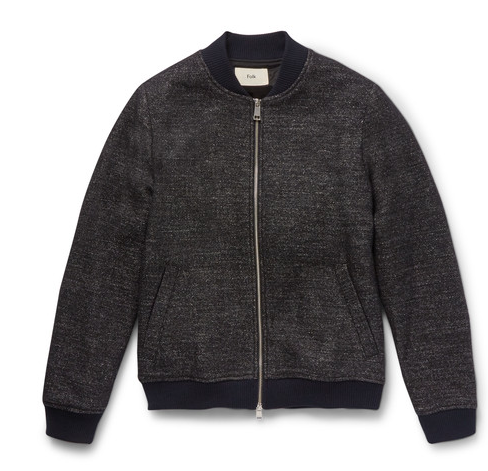 “Things were a bit too sportswear influenced or too ‘designer’ for my taste,” says Folk founder Mr Cathal McAteer of the story behind the brand, “my love affair with the rag trade started with labels that had no obvious branding.” This wool-blend bomber jacket is flecked with black, grey and white threads and framed with navy ribbed jersey trims. Finished with a soft quilted shell placket and an internal pocket that is perfect for securing your wallet or phone, it looks great layered over a shirt and sweater. 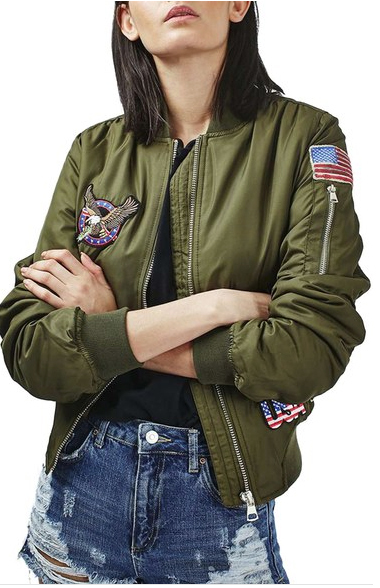 You don’t need to be in training at the top aviation school to sport this trend-right bomber jacket detailed with Americana patches. 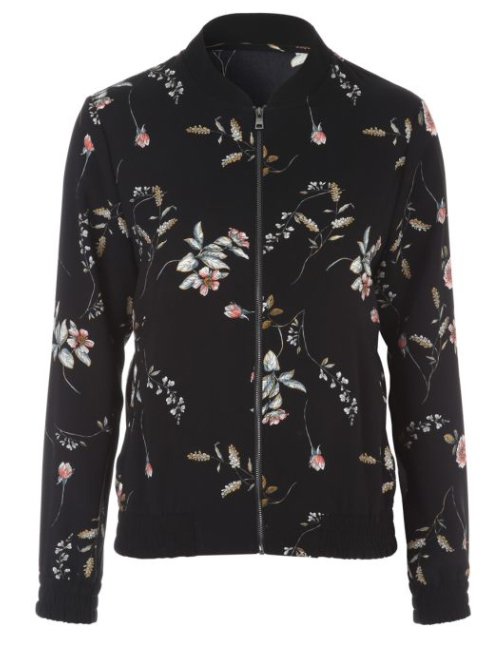 A classic bomber jacket gets an added dose of old-school attitude and sweet sophistication with a shiny satin finish and pretty floral pattern. 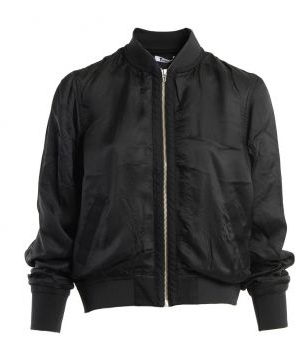 A bomber is the must-have fashion essential this season. This gorgeous black jacket features a subtle floral design and black trim, making it perfect to layer up with when it’s cold outside.